RICHMOND, VA (April 2, 2019) – HomeTrust Bank today announced a $2.5 million investment with Virginia Community Capital (VCC), a community development financial institution serving communities throughout the Commonwealth and the U.S. HomeTrust Bank’s commitment includes directing its funds into three LIONs (Local Impact Opportunity Notes) with VCC to benefit the areas of Roanoke, Martinsville and Danville. The investment from HomeTrust—a community-focused financial institution with ten branches in Southwest Virginia —will support VCC’s mission of fostering vibrant communities in Virginia. There will be a particular focus in Southwest and Southside Virginia that have been affected over the past few decades by job losses in the manufacturing and energy industries, such as Martinsville and Danville. VCC’s LION notes provide a financial return and create social return by funding impactful community projects. For-profit organizations can turn a profit while also doing good. 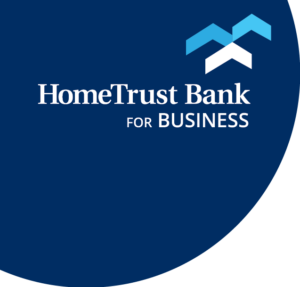 There is a growing dialogue nationwide about impact investing for community-focused financial institutions, such as HomeTrust, seeking to improve the lives of people and communities while earning a financial return. Impact investments, especially at local levels, can deliver immediate results in job creation and enhance a community’s quality of life. VCC offers flexible ways for both for-profit and non-profit organizations to make impact investments, including deposits, loan funds, equity investments, and philanthropic grants. Virginia Community Capital (VCC) is a Community Development Financial Institution (CDFI) with a mission to create jobs, energize places, and promote an enhanced quality of life in our communities. With offices in Christiansburg, Norfolk, and Richmond, we offer innovative and flexible financing tools and professional advisory services to individuals and organizations in low-to-moderate income and underserved communities. VCC’s subsidiary bank, VCC Bank, is an FDIC-insured, certified bank offering products tailored to socially conscious investors, along with personal and business checking, savings, and certificate of deposit accounts. VCC is also a certified B Corp.